Looks like a new boat. Nice job! ...i did my own! same boat! I got mine from the same place! they rock! http://www.seadooupholstery.com/ My boat is on his page! Simple, who and what did 167 in a 50 MPH zone?????? 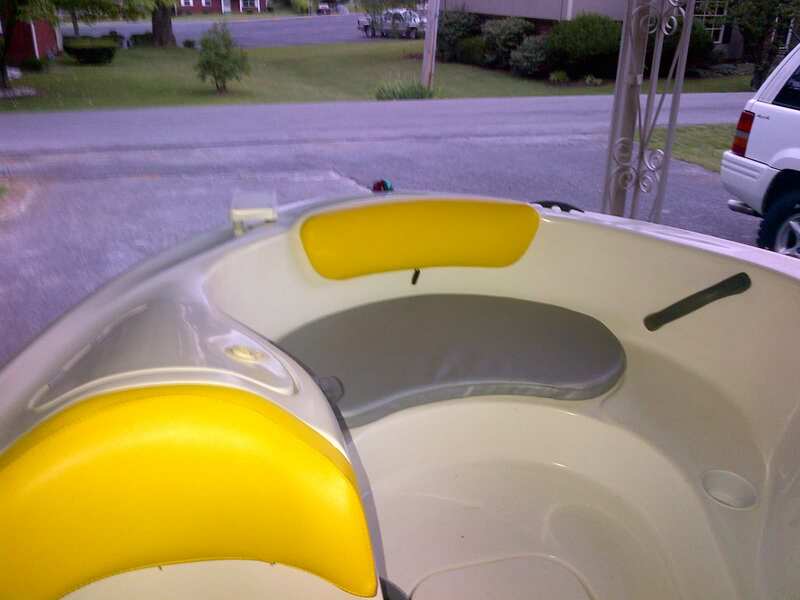 My stock seat is completely burned out from the sun and I would like to get it replaced. These seat covers are better quality than the oem sea-doo ones. As info. Sweet. Thanks for the info. I feel safe buying them now. I just bought 96' Challenger without seats. I have to expoy all the existing holes because the person who ripped them out cracked the gelcoat. Would by chance provide me a picture of the back seat and your cut out dimensions of the vinyl? I will need to tackle the project just like yourself. I have Juki sewing machine with the required hardware to complete the job. Should I use marine grade wood as the base for each of the seats? What do you recommend? They have pics and video that might help. I will gladly pay you for the seat templates. Please give me a price. You will need to contact http://www.seadooupholstery.com/ for info. I'm sure they will be happy to help. They were very helpful with mine. I bought the 4 way stretch stuff from this guy. Everything came in as ordered but the quality of the vinyl is sub-par. The stuff is so flimsy, you can poke a hole in it with your finger. When I tried to return it I was unable to do so. Left 3 messages over a span of 3 weeks and got no response. Hello, Great job. 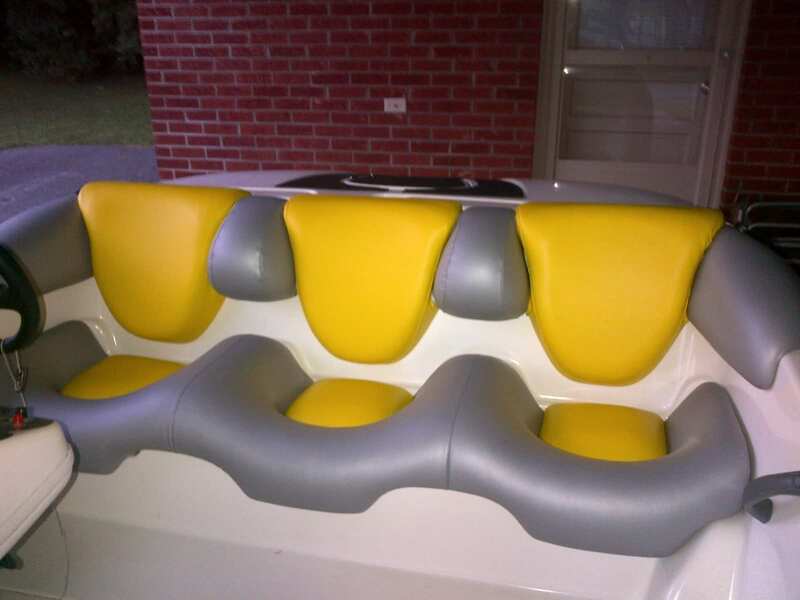 I have a 97 challenger and want to do the seats also. What is the cost for the templates. (email at poetbruce@Verizon.net ) Thanks. 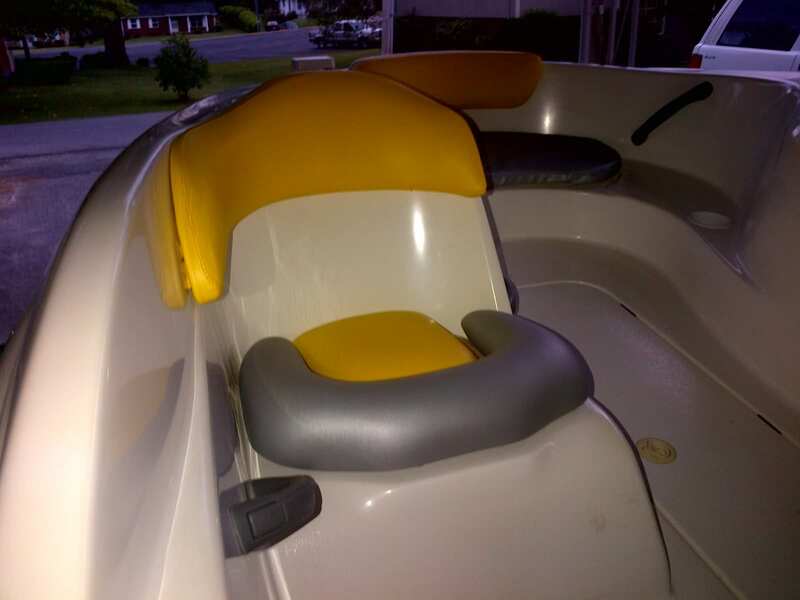 I am about to reupholster a 1998 seadoo challenger. the boat is white and green now. Any tips on where to buy the vinyl from and how much will I need?